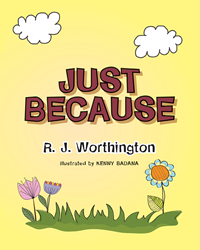 Recent release “Just Because” from Page Publishing author R.J. Worthington is an engaging lesson in character and the value in setting a good example for others to follow. R.J. Worthington, an avid trail runner, mountain biker, and soccer coach living in North Jersey with his wife and three children, has completed his book “Just Because”: a tale of two sisters who are teaching and learning important life lessons. Published by New York City-based Page Publishing, R.J. Worthington’s endearing story offers a valuable lesson in character for young readers. Emma has a little sister, Mia, who doesn't quite understand why the little things we do for each other mean so much. However, at the end of the day, Mia figures it out, all thanks to her big sister Emma. Readers who wish to experience this gripping and potent work can purchase“Just Because” at bookstores everywhere, or online at the Apple iTunes store, Amazon, Google Play, or Barnes and Noble.